Starting this weekend and through Labor Day weekend, several city police departments in Sacramento County plan DUI checkpoints and saturation enforcement. Sacramento County DUI Task Force is ramping up its enforcement efforts as part of a national crackdown on impaired driving. The 18-day, high-visibility campaign, Drive Sober or Get Pulled Over, is a partnership with the California Office of Traffic Safety to curb impaired driving and save lives. August 21-September 7 (Labor Day), law enforcement partners in Sacramento County, across the state and nationwide will show zero tolerance for impaired driving. 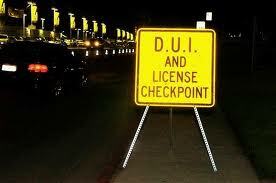 The schedule for checkpoints and saturation enforcement are listed below. The Sacramento County Avoid the 16 is announcing its upcoming enforcement operations for the Summer Holiday DUI Campaign.